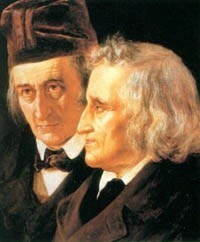 What’s all the fuss about the brothers Grimm? I have been labouring my way through the complete tales of the brothers Grimm, on and off, for the last three years. At first, there were curious and enchanting moments but, I have to admit, it has felt more ‘uphill’ recently. I’m not sure how to understand the resurgence of interest in Will and Jake’s collection. There has been a popular TV series and a couple of movies have tried to reclaim the tales for the dark side, after years of disneyfication; Philip Pullman has turned his pen to them, and several others have delighted in re-working them for the ‘Potter, Buffy and Twilight’ generation. Having almost finished reading the complete works, I have my own take on the oeuvre. When the brothers rolled into a village on their collecting expeditions, I reckon that the locals thought it would be a jolly jape to ply them with schnapps and treat them to lengthy, extemporized tales that endlessly recombined a basket of popular motifs in spirals of fantasy. These plot lines were not authentically handed down through the generations until they were captured and immortalised with pen and ink; they were made upon the spot, like the rambling narratives that children play out in the tree house and at the bottom of the garden or the anecdotes of a boozy uncle who can’t remember the end from the beginning. For example, here is the tale of the Three Black Princesses. 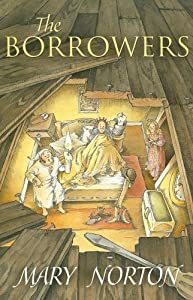 It is wryly amusing for the fact that it barely goes anywhere, it is clearly unfinished and there are some serious issues with overall coherence. I hope my rendition is faithful to the original. Liu Xie (c.470-539 AD) was a literary critic during the Liang Dynasty, a time and place where to become a writer was a matter of a long apprenticeship in courts or monasteries and even bureaucratic documentation was a work of art. His great work “Carving a Dragon at the Core of Literature” captures both the mysticism and asceticism of the writer’s craft in all times and in all places. Although this work is about fifteen thousand years old, I go back to it repeatedly for a fresh vision and, at times, a stern talking to, in the great tradition of far eastern masters. My translation (by the brilliant Yang Xianyi and Gladys Yang) is in a rare volume of assorted prose and poetry from the Han, Wei and Six Dynasties, published in Beijing by Panda in 1986. I found this book and appropriated it from my parent’s bookshelves a long time ago. It still contains scribbled marginal notes in my 15-year-old’s handwriting – from my Buddhist phase. Next, he suggests that some thinkers are slow and spend years conceiving, executing and polishing their work, while others are quick and discharge treatises between waking and taking breakfast. Wherever you fall on the spectrum between these extremes, you must embrace it. I am very thankful to be closer to the fast end: I’m already almost bored with writing this post (in my lunch break). In a few minutes, I’ll hit “publish” without reviewing it, and I’ll move on to the next thing. I’ll probably never produce a great work like Zuo Si who spent a dozen years on his essay on the Three Imperial Cities, but I can live with that. I get the impression that Liu Xie is telling us that, as long as the work of studying the classics, “delving into changes in style, and understanding the forms of literature” has been done “, we can “give birth to new ideas and fashion striking images” according the speed of our thought, but almost unconsciously. Learning to write well is like learning to drive skilfully, it becomes a matter of muscle memory and reflex, with long practice and deep immersion in the canon of all ages. Later in the work, he attacks those who “counterfeit feeling” for the sake of art. He points out that the composers of old folk songs genuinely gave voice to their anguish but that many later poets feigned sentiment for the sake of a dazzling turn of phrase. It’s a timely reminder of the need to write what we know, from the heart. This is absolutely one of my values as a wordsmith; when we tell lies, we do it with words, and yet we also propagate truth, clarity and revelation with words. There is a sense throughout “Carving a Dragon at the Core of Literature” of the office that writers hold and the service that writers provide to society, and of the seriousness with which this must be taken. This was ever the way in less literate times and places, where even the ability to reproduce and comprehend the shapes of alphabets and pictographies was for an elite. In spite of the great syndication of the scribe’s art that has taken place since Caxton, I think there are still those who are entrusted with the continuation of this special role in relation to how humanity thinks aloud about itself … on paper. One of the highlights of my week is hanging out with the 14-17 year olds in our Church youth group on Sunday evenings. The little glimpses I get into the world of young people today are worth their weight in platinum. For instance, I learned from them that it is entirely unnecessary to tie your shoelaces – you can just tuck the trailing ends into the shoe. I have also had the opportunity to familiarise myself with Harry Potter fan-fiction lingo (do you know for instance, what “headcanon accepted” means?). This week’s insight bore down on me on the back of a couple of comments, overheard. 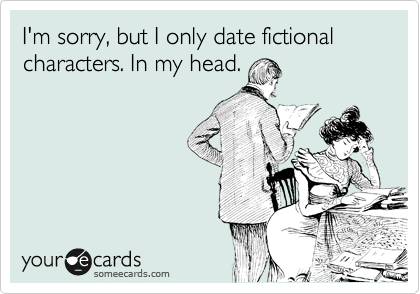 Here’s a fact: a significant number of teenagers have an agonising, unrequited crush on Mister Darcy. This is definitely headcanon non-accepted stuff but it is real enough to invoke quite strong emotions. Yes, before I was old enough to have real girlfriends (and for a while after that, too), I confess I had a few romantic attachments to literary characters – never to more than one at a time, which suggests that these were fairly serious relationships. So this blog post is a tribute to those unreal beauties I loved between the ages of 9 and … er … about 17 if I’m honest! Wow, this must have been the first cut; it still smarts to think about it. Arrietty was about 14, brave, redheaded with plaits and freckles. She kept a diary, she was an avid reader. She drove her parents crazy but I admired her adventurous spirit and she wasn’t judgemental about people. We spent hours together. I think it was awfully handy that she was small enough to fit in my pocket and knowing she was there sometimes gave me the chutzpah to scare my own parents by being adventurous – although I think my headcanon made a magical allowance for me to shrink down to her size sometimes too. I actually hit it off quite well with her parents, which was just as well. Although not strictly a “literary” character, Kira deserves a mention. I grew up without television and we went to the cinema about once a year so I never saw the “Dark Crystal”. In fact, I met Kira in 3D, on a set of view-master slides (that’s a thing I’ll bet the youth group have never heard of). I fell for her pale complexion, rosy cheeks and elfish ears, and her sense of adventure. I watched the Dark Crystal for the first time a few years ago and was amazed to discover that my gelfling childhood sweetheart also had wings! She kept that a secret. In fact I think there was always a distance in our relationship. As much as I admired and adored her, the gelfling-human thing was never going to work out, and there was always that scruffy “Jen” lurking in the background. She was a young witch, as vividly illustrated in the books, with a crooked hat and unmatched stockings. It was her endearing clumsiness that won me over. Dorrie and I hit it off because we were both misfits who always ended up doing things differently to everyone else. In fact, she was a proper disaster area! Being with her was so exciting, I never knew what was going to happen next. She always meant well but her spells hardly ever did what they were intended to. In spite of this she always came out on top of the day. I seem to remember she had a spell that made my bicycle fly, and she used to ride on the back of my bike with her cat, Gink. It was flipping romantic (headcanon non-accepted)! Polly was a humble maid who served Mrs Peabody, the wife of Mr Peabody, the watchmaker. I wanted, so very badly, to be Mr Peabody’s apprentice, “Job” and to whittle beautiful birds from scraps of wood to give to her as gifts. I wanted to sit in the pew across from her at church and catch her eye, like he did. I became extremely interested in horology and wood carving, and possibly even in going to church, on the strength of my fascination for Polly. She was brightly optimistic, in spite of Mrs Peabody being pretty harsh (as I recall) and she was simply kind in her thoughts towards those whom others were inclined to mock or ignore. There is no doubt that the time I spent with Polly made me a better person. How about you? Did you give your heart away to someone you found in a book? Or is it just me? The Next Big Thing: My Work In Progress? So Gillian over at skybluepinkish tagged me in a desperate bid to get me to blog something. Thank you, Gillian, you have done me a favour! This tag is part of a global blogfest encouraging writers to let everyone in to their current work in progress. I’m not sure mine is “the next big thing” but I would like to have it done by the end of this year. This wouldn’t be entirely coincidental. The whole thing was mapped out in essence in a dream I had while resting on my bed one afternoon about six years ago. I often take a nap in the afternoon and this is a good time for dreaming. Soon after that I used it as a tale to tell friends on long walks. When I came to writing it down (intending a short story) it sort of grew beyond control. Which actors would you choose to play characters in a movie rendition? The protagonist is told from the first person. He’s in his 20s and grappling with the transition into adulthood. He’s just a kid, really, who finds himself boxing way above his weight. His origins are a bit mysterious. He needs blue eyes. 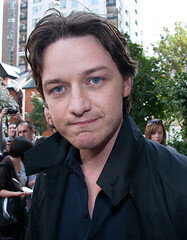 He is James Mcavoy! Then there’s the avuncular “Terrence”, an epicurian patriarch who presides over a year-long banquet in his mansions, which are built over an oasis. 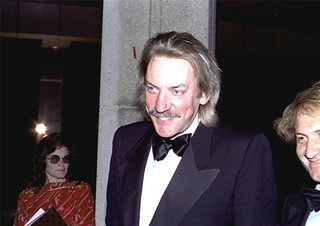 He is Donald Sutherland. There’s a merchant turned adventurer called Selwyn. “His eyes were set deep in a wrinkled, nut-brown face, glowing out at me with a couple of pinpoints of reflected light that nevertheless seemed to come from inside him. The edges of his ragged moustache concealed the corners of his mouth which, by the laughter in his eyes, must have been turned up in a friendly grin – although it was difficult to be sure. Like a man who has been in the sun all day and who through the night gives off the radiance of what he has absorbed, I felt a strong glow from him. It was impossible to tell his age for his skin was well weathered by the elements rather than age and he gave off an air of rude health”. 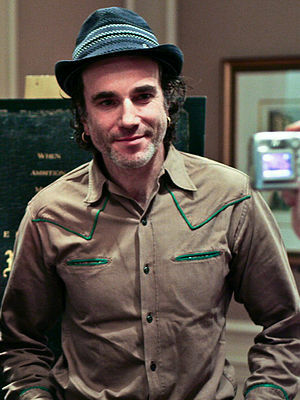 I’m thinking … Daniel Day Lewis. An inheritance was a blessing, and then a curse, and a blessing once again. For me the arguments weigh in favour of going the indy route. I’m a year in but I don’t think I could call it a first draft just yet. 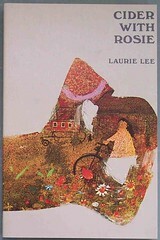 It is strongly influenced by George MacDonald and falls somewhere between The Phantastes and Donal Grant. I also would place it on the shelf alongside some of Paul Gallico‘s wonderful tales like The Man Who Was Magic and The Snow Goose. There’s also a touch of Antoine de Saint-Exupéry and The Little Prince about it. I guess them’s my influences. Who or what inspired you to write this book (story)? The authors mentioned above but probably George MacDonald more than anyone else. I spent the best part of 2010 immersed in his work and still feel as if I have only just scratched the surface. He had a comprehensive understanding of the thin veil between our waking reality and the mythopeic unseen that is mediated through our imaginations. The story has also become a receptacle for a lot of observations and thoughts garnered from my surroundings while I have been out walking the dog so it boils down to GM and my dog, really. This month, I have the joy of working with 300 year five and six pupils from Durham City schools to turn their ideas into One Big Story: an epic and imaginative tale that will be published in paperback in October. This one of the most exciting things I have done for a while; it ticks about a hundred boxes for the things I love doing: creative writing, stimulating other people’s imaginations and helping them to realise their creative ideas, being able to say the magical word “story” about 50 times a day and share my passion for the written word. I’m working as part of a team alongside Christina Maiden (Off The Page Drama) and Robyn Trainer (Floral Footsteps), running whole day workshops in primary schools, getting children to invent and develop ideas for stories and working collaboratively to forge them into a coherent narrative. Remarkably, it turns out to be quite possible to take the ideas of 30-40 children at a time and guide them into creating a story together as long as you think on your feet and prepare yourself for almost anything to happen. Not to give too much away, but we are half way through the project already and have five out of ten chapters mapped out. The children have taken us beyond our own imaginations into their own world where there are a lot of fights involving food and an awful lot of ghoulish characters in which the malevolent and comedic are theatrically blended. It has been very encouraging to see that literacy is alive and kicking in every school we have visited so far; I’m the one getting educated. 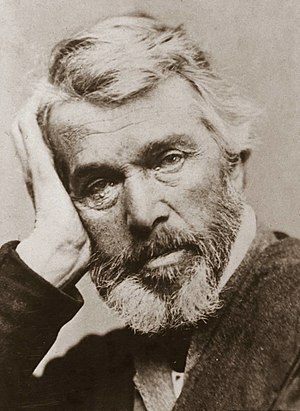 I like Thomas Carlyle (1795-1881). He’s one of my rugged 19th Century romantic existentialist individualists. I don’t buy the whole package of his thought (women never seem to get a mention, for instance), but he can be forgiven for being a man of his time as much as I will need to be if any of my thoughts survive me. Apart from anything else, Carlyle wrote 21 volumes of the history of Freidrich II of Prussia; and he didn’t even have the Internet! This suggests that he had one thing nailed: he knew how to knuckle down and get on with his work – probably because he didn’t have the Internet. So, as my contribution this week to the #GoingPublic audio project, here is an excerpt from Book III of Carlyle’s “Past and Present” that gives us a clue about the root of his productivity, his attitude to work. It amuses me, the way he dismisses “Know Thyself” with a disdainful sweep of his hand and then goes on to expound “Know Thy Work” with increasingly dizzy conceits. But I also find it invigorating. How about you? Check out a wealth of other great audio clips from the Going Public Project. This collection of tales by Lord Dunsany is romantic, fantastical and somewhat macabre, each having a fitful dreaming quality to them. The reader eavesdrops on conversations between souls and bodies at the point of death and travels to some very strangely named places. This was my first taste of the author’s work and has compelled me to explore further. This is a thorough book on the clarinet from a world class player and expert on the instrument. Brymer is excellent on the history of the clarinet and also very much focused on the technical side of note production. He very quickly encourages the reader/player to begin thinking acoustically about their instrument in terms of a tube of vibrating air and to move away from a mere inputs (covering holes and blowing) and outputs (notes) approach. In order to progress to mastery of the clarinet the very quirks and compromises that are inherent in its design must be mitigated throughout the registers. It covers every aspect of clarinet playing and technique from a specifically classical orchestral and soloist point of view (i.e. don’t expect much insight on jazz or other styles of playing). I want so badly to understand the appeal of this “classic” work. I will return to it repeatedly in the hope that on some reading in the future it will break open for me and I’ll come to love it as so many do. Until now, however, I have found that its 36 pages of overblown metaphysicality leaves me cold and unstirred, with the notable exception of the closing lines of “Little Gidding”, which really do blow me away. When I first encountered Craig Raine’s poetry it was like a homecoming, one of the most exciting moments in my literary youth. Here was someone who seemed to write about the same world that I saw through my eyes – the most commonplace things having a breathless mystery about them. I have since discovered that his approach spawned an entire school of “Martian Poetry” that takes his “A Martian Sends a Postcard Home” as its point of departure into a tour of the most familiar things seen through alien eyes: “There are tiddlywinks / of light in the summer woods. /Play with them. The ironing-board / has permanent lumbago. Pity it.” In “Scrap”, “The [petrol] pump held a gun to its head an empty theatrical gesture”. “Enquiry into Two Inches of Ivory”, “A Cemetery in Co.Durham” and “The Behaviour of Dogs” are the poems that stand out the most for me from this collection and are always with me. Obviously there has been a buzz about this book on the back of Freakonomics: A Rogue Economist Explores the Hidden Side of Everything. Like other reviewers I found it a very quick read and interesting enough to read in one sitting. Yes, the basics could fit on three pages but the “padding” is lightly engaging although repetitive at times. I did skim the chapter on the problems of global obesity because that’s not something I need convincing about. Like other reviewers I was impressed with Seth’s audacious self-experimentation and willingness to connect concepts in unorthodox ways. It costs nothing to try and seems harmless so I’ll be giving it a go and reporting back.